Remove the radiator, the under tray and the radiator mounts.Remove the bolts that goes thru the stock mount. 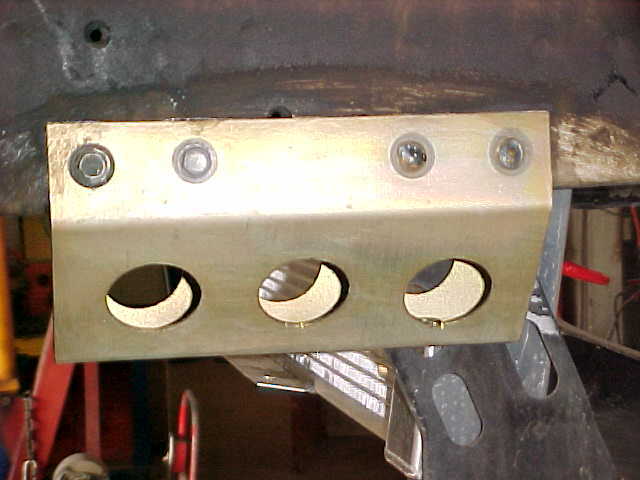 You should be able to drill the spot welds that hold the stock mount to the chassis.Put the new brackets in place with the same bolts. 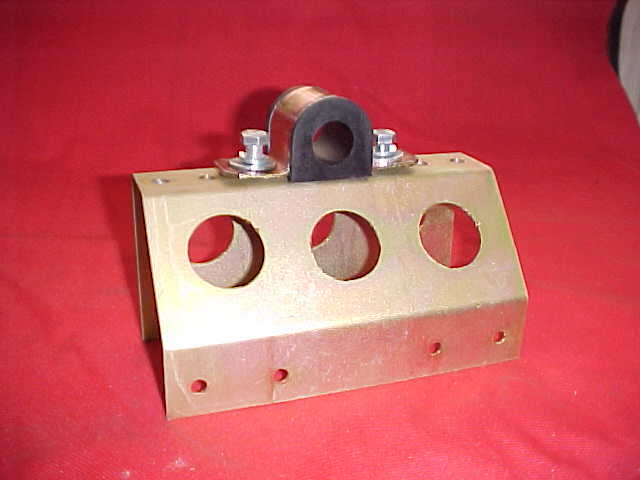 We highly recommend you tack weld the brackets as shown in picture. Bolt the radiator brackets back on. 99 => Miata The left radiator bracket is the way of the sway bar bracket. 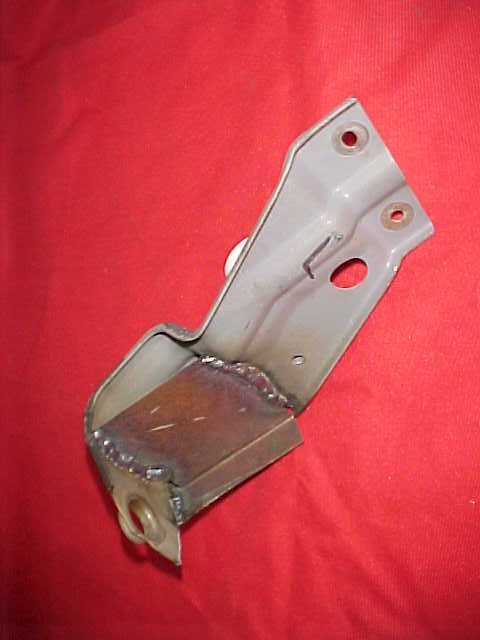 can make a new radiator bracket. We weld a plate into the stock bracket. Then cut off the back part. Install the pillow blocks to the mount using the third hole from the front. 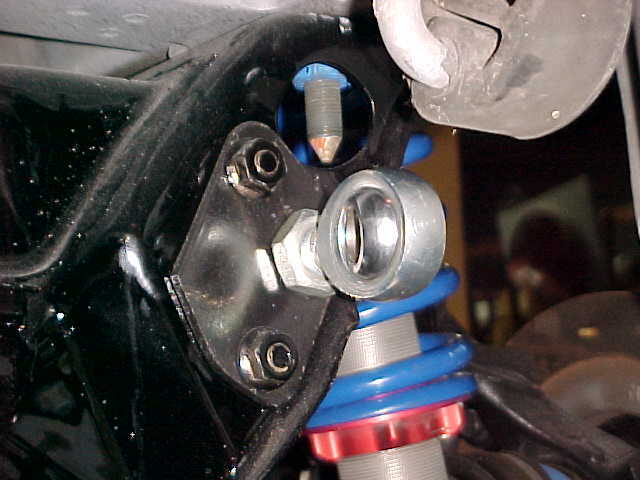 When the sway bar is off the car, we mark the ends to make it easier to line up the arms. 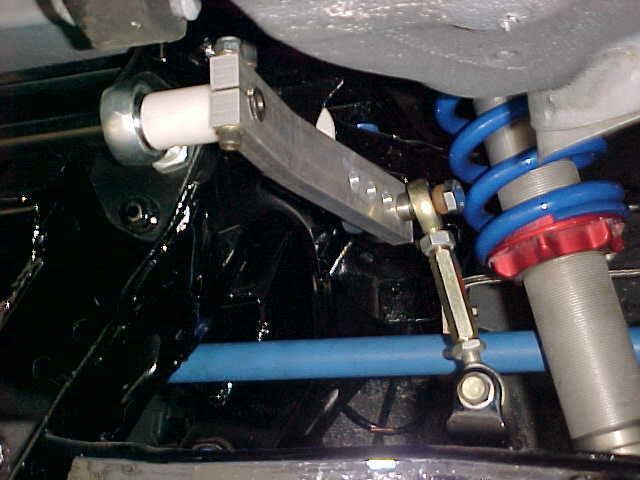 Before you tighten the blocks down, put the sway bar in, then tighten down. Install the links in the 2 holes from the bar. On 99 arms, the link can go on either side of the tab. Be sure to use the supplied spacers to keep the rod ends from hitting the bar. The links should be adjusted with the car on the ground and the driver in the seat. We have urethane bushing to be used the SM bars on our mounts. 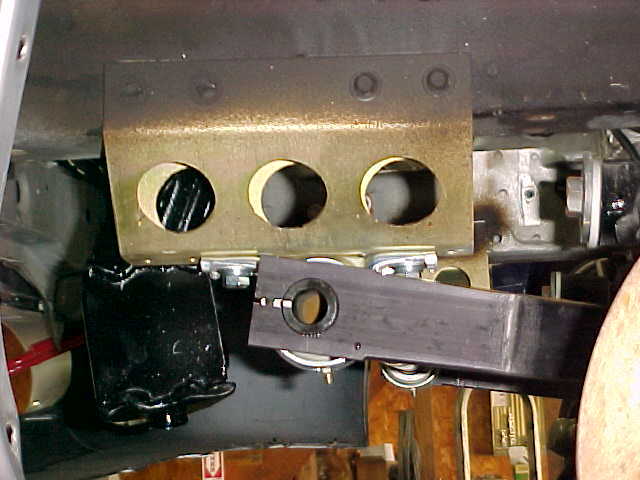 Mount the mounting plate on the rear sub-frame with the hole to the outside. You will now need to drill the hole thru the sub-frame (5/8 inch). 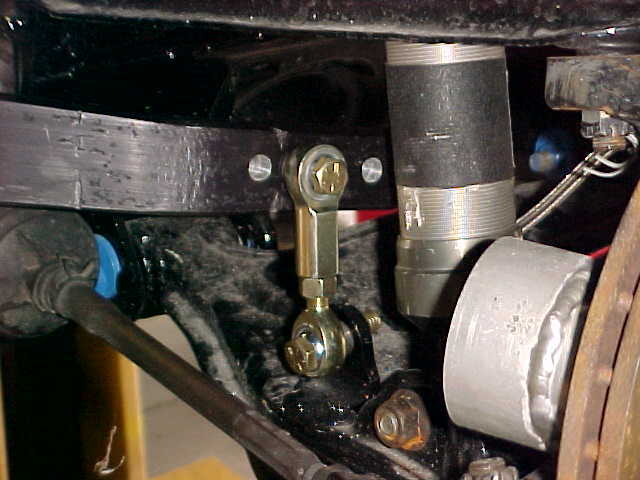 Install the rod end into the hole and tight the rear nut even with the end of the rod end.